Budget Blinds’ Inspired Drapes collection offers a wide selection of drapes, soft window treatments, and custom pillows and bedding with luxurious designer touches, all at very attractive prices. And with their current scratch and save promotion, you’ll save an additional 25-40% off the already fabulous prices, as well as earn bonus upgrades on your order. Whether you want draperies to provide light filtration and insulation, or to create aesthetic touches to your favourite spaces, Budget Blinds has you covered. 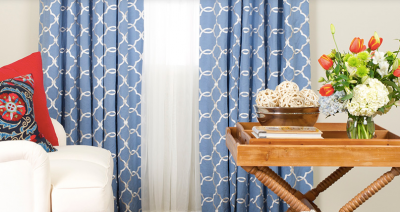 Choose from ready-made drapery panels for an easy decorating upgrade or work with a Style Consultant to design custom drapery. Budget Blinds of the North Island offer complimentary in-home consultations to help you create the right look for your space and style.